My Amazon purchase: SOMEBODY! KILL IT WITH FIRE! 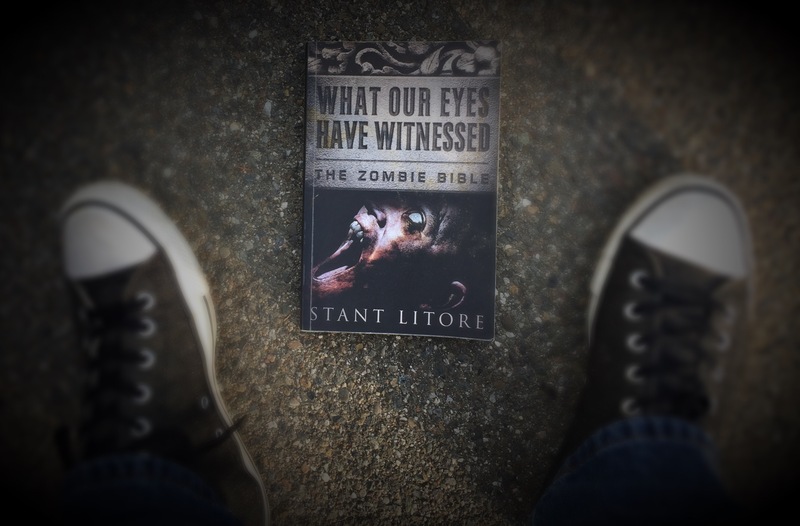 For the next little while, you will intermittently be hearing about my fascination with author Stant Litore’s Zombie Bible Series. And for a minute here, you’re going to hear about it again, although, not exactly the way I had intended to do this. That book laying there already has the hallmark visual prescience that says “something horrible most likely happens in there.” True enough. I think. I say I think, because I cannot open it. So about that book up there. I had already purchased it on my Kindle app once, and when I tried to venture that road, wound up vapor-locking a chapter in. All I know this far is this: Caius is engaged in a rather tumultuous autopsy, and that”s as far as I got. I’ve realized–I need tactile books–or at any rate, E-ink, if I’m going to be able to read. So, going to Amazon to buy it again at a whopping .74 cents did not make me feel guilty. It was a used copy, listed as “VERY GOOD” in the “conditions” rendering. This was not the case. What I received was a decomposed, rotting, malodorous ex-book. Horrid smells emanating from the pages, dubious dark-statins remniscent of blood, blatant dirt-clod remnants on the cover (visible if you click on that picture), with an unwieldy feel–almost like some acetone-based rigor mortis. There is also a putrid bouquet of cigarette smoke which comes off on my fingers. So in effect, I was mailed a Zombie, by the non-circumspect quality control department of the Amazon affiliate (literary corpse division). I wrote them back and told them of this mild discrepancy. They wrote back, completely apologetic and refunded my money this morning. But why . . . why do I have this odd feeling . . . that when they wrote me and said “no need to send it back to us” . . . that . . . well . . .
Never mind. I’ll read it when I know it’s dead. For real. This entry was posted in Blogging, Books, Entertainment, Reading and tagged Bible, books, litore, Reading, stant, zombie. Bookmark the permalink. 4 Responses to My Amazon purchase: SOMEBODY! KILL IT WITH FIRE! Oh no! There are few things worse than ordering a book and being delivered something sent to infect your other books with mold and bookworms. I only buy a book online when I absolutely cannot find it at any of the used bookstores/book sales I frequent–I loathe the cop-out of obtaining it on the internet instead of experiencing the delight of adventuring all over bookstore creation to find the coveted book. Of course, I understand that not many people feel this way–this is just my outlet for my explorer tendencies. I hope you have been able to obtain an uninfected copy :). Here’s the upshot. Stant Litore liked this article, and reposted it on his fB page. There a long discussion going on now: all about his books, which is a nice side-effect from my soapboxing. I’d have to say this blog post was hilarious! Look at the follow up.